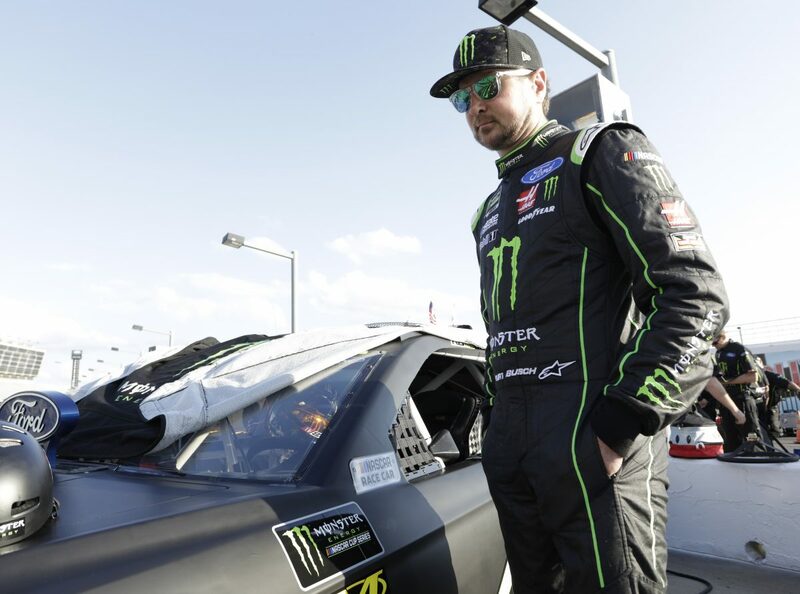 Kurt Busch started seventh, finished eighth and gained three bonus points. The No. 41 Monster Energy/Haas Automation Ford Fusion was in third when Busch pitted under caution for four tires and fuel. Busch pitted at the end of the stage for four tires, fuel and a tire pressure adjustment. Started seventh, finished second and picked up nine playoff bonus points. Busch passed Brad Keselowski for the lead on lap 100. The No. 41 Monster Energy/Haas Automation Ford Fusion was in second place when Busch pitted for four tires and fuel. Busch pitted on lap 160 for four tires and fuel, then restarted in third. Busch pitted after the stage for four tires and fuel and came out in first place. On lap 198, Keselowski passed Busch for the lead. Lap 213 saw Busch in third, but he hit pit road for four tires, fuel and a tire pressure adjustment, exiting the pits in fifth place. While running fifth on lap 250, Busch pitted for four tires and fuel. On lap 297, the caution came out as Busch ran in 10th but one lap down. He received the “lucky dog” and got his lap back before pitting for four tires, fuel and a tire pressure adjustment. Busch scored his 13th top-10 finish in 27 career NASCAR Cup Series starts at Atlanta. He led three times for 52 laps to bring his laps-led total at Atlanta to 801. Busch finished eighth in Stage 1 to earn three bonus points. He finished second in Stage 2 to earn an additional nine bonus points. Kevin Harvick won the Folds of Honor 500 at Atlanta to score his first NASCAR Cup Series win of 2018, his second at Atlanta and the 38th of his career. It was his 15th NASCAR Cup Series victory since joining SHR in 2014. Harvick’s margin of victory over second-place Keselowski was 2.69 seconds.